Original wall plaque dedicating the Moses Episcopal University Center. History of the USF Chapel Center, originally named the Bishop William F. Moses Episcopal University Center. University of South Florida opens with 1,997 students. Cornerstone Laying Service with Rev. Canon William Brace (Rector at St John’s) officiating. Guest speakers: Dr. John S. Allen; Rev. Dr George Hood, Chairman, Dept of College Work in this Diocese; Hon. Arthur Gibbons, Vice-Chancellor of Diocese. The cornerstone unearthed and opened in 1987, it contains a Bible, copy of the groundbreaking ceremony, and newspaper dated May 27, 1962. The Chapel Center construction is completed during the summer at a cost of $73,000. The first worship service is held on October 7. Dedication of Chapel Center officiated by Bishop William L. Hargrave (elected as safragan Bishop for the newly formed Gulf Coast Archdeanery) in memory of Bishop William F. Moses. First religious complex erected on USF campus was designed by Bishop Moses, which includes chapel and sacristy, common room with kitchen, library, offices, and room and bath for resident student. First Chaplain is J. Fred Dickman from August 1961 until he resigns December 13 to become Rector of St Andrew’s Episcopal Church in Tampa. Rev. Harold B. Hoag (retired) serves as interim. Rev. Dr. A Grant Noble called to be Chaplain and installed by the Rt. Rev. Henry I. Louttit as chaplain with primary goal to become an organized mission church. 50th Street paved by the state. Faculty and students work to plant gardens and lay walkways. Women of the Church (Diocese of S Florida) contributed funds for the purchase of furnishings, organ, prayer desks, lectern, and font. Chapel Center holds regular Sunday services for students & faculty, church school for children, discussion groups, & confirmation classes. Weddings, baptisms, and social events took place at the Chapel Center. Two men from St Anselm’s became ordained ministers during this time. Chaplain’s work is to counsel faculty and students, continuing contact with them after they left USF. University of South Florida now has 4,000 students. St. Anselm’s Chapel becomes mission of the diocese with 26 communicants, 58 baptized members and 51 students regularly attending services. On October28, Dr. William B. George ordained to the diaconate. University of South Florida now has 15,000 students. Rev. J. Kevin Stanley called from Toledo, Ohio to serve as chaplain. During the spring term approximately 550 people per week use the facility. Almost two thirds of the students at USF are non-resident. Fr. Stanley concentrates on problems of communication and community building by offering counseling to students, encouraging ecumenical activities and joint services, and by enlisting and training lay readers. In 1972, Dr. Virginia Valentine, a member of the USF faculty, was appointed first woman Senior Warden in the diocese of Southwest Florida. St. Anselm’s Chapel celebrates its10th anniversary with a special Eucharist followed by a “pitch-in” meal in the Center. Guests included wife and daughter of Bishop Moses and family. Vestry: Frank Johnson, Daniel Valentine, Leslie Small, Clinton Dodson, H. Thomas Dulin, Mark M Golly, Robert B. Hutchinson, Dr. Terence C. Owen, Harris I. Pomerantz, Mark Salman. Organist: Darlene Johnson, Assisting: Rev. Canon Edwin Smith of the USF faculty. Attendance averages about 700 students throughout the week. Joint services undertaken with Lutherans and Roman Catholics. Approx one-third of the students at USF are married and Fr. Stanley’s counseling includes marriage counseling. Attendance at the Chapel Center averages around 200 students. Fr. Stanley leaves to become Vicar of St Alban’s Episcopal in St Petersburg Beach. In August Fr. Hamblin suffers a heart attack and dies while attending a meeting of the International Liturgical Conference in Germany. In the Fall, the Chapel Center was closed as a diocesan mission, by the Bishop, who calls for an intensive study of college work in the diocese. Rev. Thomas Redfern appointed chair of the study committee. USF is characterized as a large secular university and a commuter campus with a large number of part-time non-residential students. Committee recommended that the Center’s ministry develop according to the Chaplain’s personal style and gifts and that the Chaplain work to improve relationships between the Center and the University, and the Center and neighboring parishes. The diocesan committee recommended that the Center incorporate with a board of directors to strengthen diocesan support. Board approved creating a residential community. At first 2 students lived at the Center and 2 lived across the street. Rev Bonnie Fitzpatrick provided part-time assistance to Dr. Giannini. Dr. Giannini resigned in 1980 to become Dean of the Cathedral of St Peter in St Petersburg, Florida. Rev. Jerold R. Stadel, rector of St Catherine’s, was appointed interim Chaplain. Deacon Bonnie Fitzpatrick continued to serve part-time until a new chaplain was appointed. Fr Henley leaves to further his own education. Rev. B. Robert Cain accepts appointment to Chaplaincy. First initiative for the 25th anniversary celebration and history of the Center’s first 25 years. Capital campaign plans are developed to enlarge the residential area of the Chapel Center. The Rt. Rev. E. Paul Haynes died May 30, after a brief illness. The Center celebrates its 25th Anniversary. Guest speaker is Rev. Robert Giannini, dean of the Episcopal Seminary at Sewanee and former dean of St. Peter’s Cathedral in St Petersburg. USF is 2nd largest university in the state. There are 30,000 students, many of whom are commuters. “ We are here because young adulthood is one of the most crucial stages in developmental formation in the life-cycle; a time in our culture when an individual is no longer an adolescent, but not yet fully an adult; a time of great hope and promise in a young person’s life, but also a time of testing, uncertainty, and vulnerability. Thus it is a time when, with the support and guidance of the Christian community, young people can hear and respond to God’s call to “work out your own salvation with fear and trembling: for God is at work within you, both to will and to work for his good purpose (Phil 2:12-13)”. April 29, the Rt Rev. Rogers Sanders Harris, Suffragan Bishop of Upper South Carolina was elected 3rd Bishop of Southwest Florida. In May major renovations at the Center were completed to provide living space for seven students. Structured residential program instituted— community of resident & non-residential students. The shared community life consists of midweek and Sunday evening worship, suppers, outreach, discussion programs, and social activities. Students, active in outreach, respond to social needs in the community. Bishop Harris assigns newly ordained deacon, the Rev. Mark Bowen, to serve at the Center for his diaconal internship under the guidance of the Rev. Robert Cain. Episcopal campus ministry at University of Tampa is re-established as the Canterbury Club. Activities include weekly lunch meetings, attending Sunday services at St Andrew’s and joining USF students in community service projects. Bishop Rogers Harris announces his retirement at the 28th Annual Convention. The Rt. Rev. John B. Lipscomb is consecrated Bishop. The Rev. Robert Cain, Director and Chaplain of the Center, is appointed by Bishop Lipscomb to become Deputy for Christian Education, Youth and College Ministry on the new diocesan staff. Realignments in the diocesan budget structure and process are made resulting in the USF ministry no longer being funded entirely by the diocese. 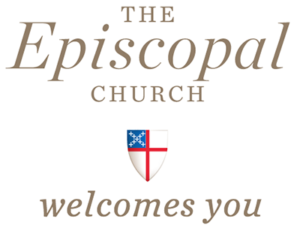 The Episcopal Center Board agrees to a 24-month trial period of shared facilities and programs with the Presbyterian, Lutheran, and United Church of Christ judicatories. Ministry at University of South Florida transitions from a diocesan-funded full-time chaplaincy to an ecumenical partnership with Presbyterian, Lutheran and United Church of Christ members, led by a full-time Presbyterian Chaplain and a part-time Episcopal Chaplain, the Rev. Dr. Jim Williamson. USF is the 13th largest university in the country. In April, the Chapel Center Board hires a Lutheran pastor, the Rev. Debra Holton-Fischer, as an Interim Chaplain. In November, the Board appoints her to the position of Director/Chaplain. The Rt. Rev. Dabney Tyler Smith was elected bishop coadjutor of the Diocese of Southwest Florida on Dec. 9, 2006. He was ordained and consecrated as a bishop on March 10, 2007 at the Cathedral of St. Jude the Apostle in St. Petersburg, Fla. He was seated as the fifth bishop of the diocese Sept. 15, 2007 at St. Peter’s Cathedral in St. Petersburg. In December, the Ecumenical Board of Trustees for the Chapel Center and the Chaplain, the Rev. Debra Holton-Fisher, resign. Deacon Katherine Tate, Director of Youth Ministry with the Diocese serves on a temporary part-time basis at the Center. Bishop Smith appoints the Rev. Denise Gray Guinta to revive the Chapel Center as an Episcopal campus ministry in November. The Rev. Denise Gray Guinta resigns as Chaplain to accept a call from St. James House of prayer in Tampa. The Rev. Dr. James Williamson is appointed University Chaplain. Sunday services resumed in January, 2010. Student residents were added in the Fall, 2011. Chapel Center celebrates 50th anniversary with Holy Eucharist on Sunday, Nov. 18. In July, Bishop Smith assigns the Rev. Canon Eric S. Cooter, Canon for Ministry Development, with overall oversight of Campus Ministry in the Diocese. The Rev. Dr. James Williamson retires in October. Development of a Campus Ministry Task Force that was mandated to develop a renewed strategy for ministry on the campuses of USF and State College of Florida. USF Campus ministry focuses on redeveloping a student led, covenanted community. January 1st, 2014, Bishop Smith assigns the Rev. Alisa R. Carmichael to St. Anselm’s USF Chapel Center as a part-time Deacon. St. Anselm’s Chapel is received at 46th Annual Convention as an associated worshipping community on October 18th. The Chapel Center ministry leadership expanded the number of students living in residency and concentrated on exploring ministry efforts to expand engagement with the wider student body. January 1st, Bishop Smith appoints the Rev. C. Roy Allison, II, Rector at St. Mark’s Episcopal Church in Tampa, as part-time Chaplain. The Rev. Alisa R. Carmichael resigns as part-time Deacon effective October 17th, 2015, to take up full time employment in the secular world. Fr. Allison continued to evaluate the viability of student residency based ministry on an ongoing basis. Bishop Smith appoints Adrienne Hymes, Chaplain of USF Chapel Center and Diocesan Missioner for Church Extension. Substantial renovations are completed with the assistance of volunteers from neighboring parishes. Chaplain Hymes is ordained a deacon on September 17th. Sunday, October 29th, Bishop Smith, rededicates the St. Anselm’s Chapel in an Evensong service.